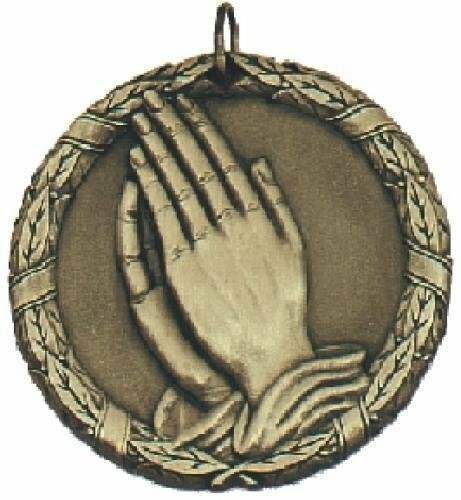 Praying hands medal. 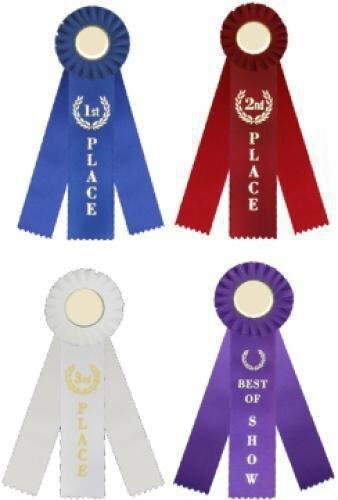 Many different ribbon colors to choose from. 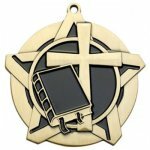 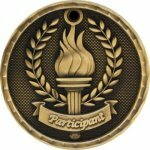 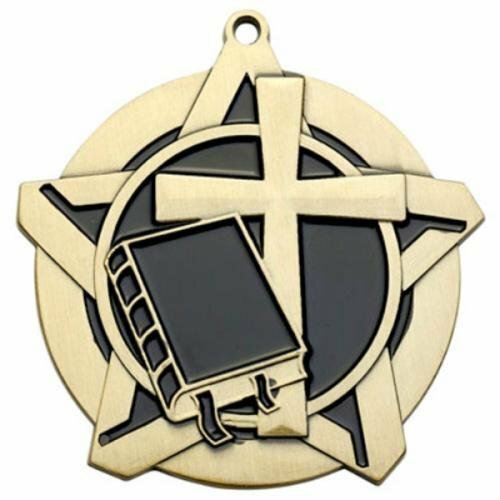 Religious Faith super star medal. 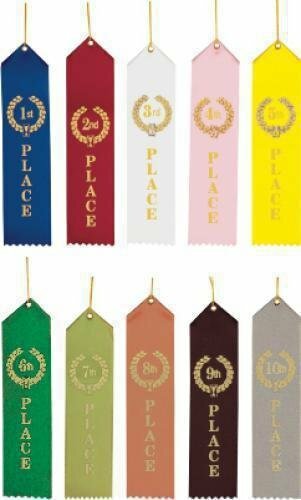 Many different ribbon colors to choose from. 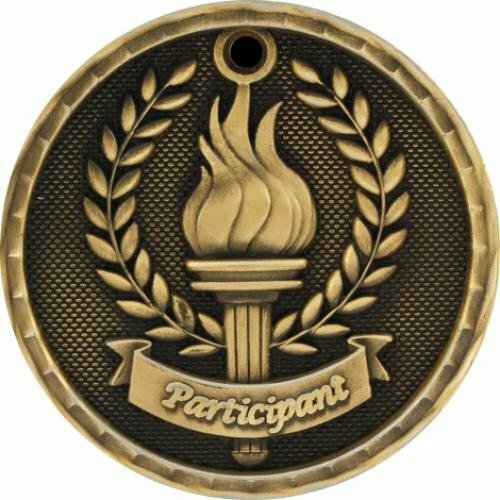 This round walnut perpetual plaque is distinctive. 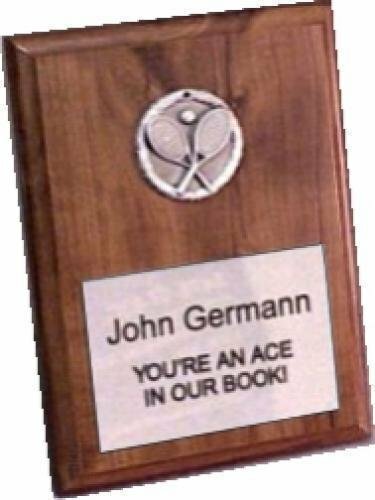 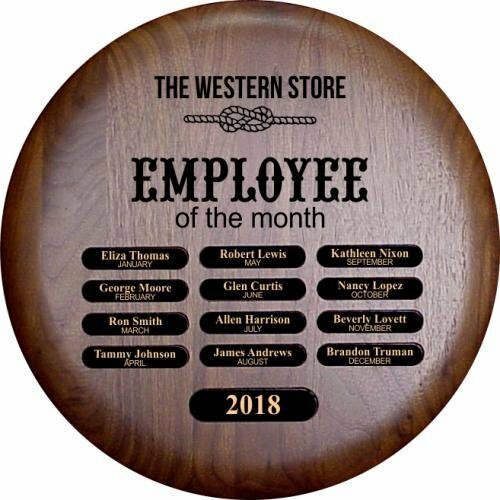 The large area at the top has your information laser engraved in black directly into the wood. 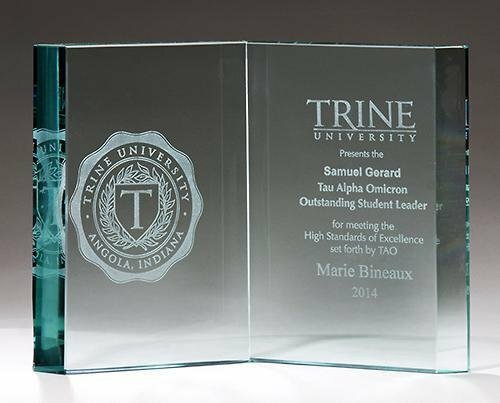 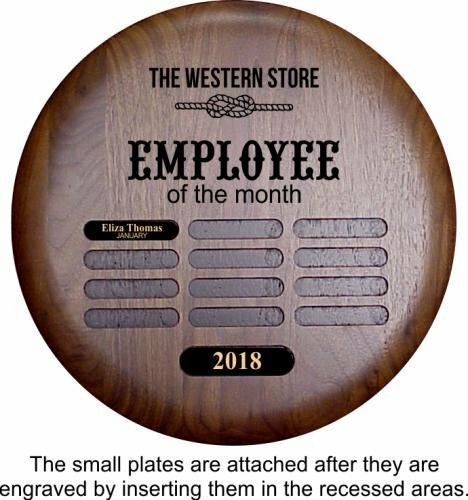 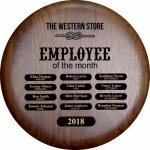 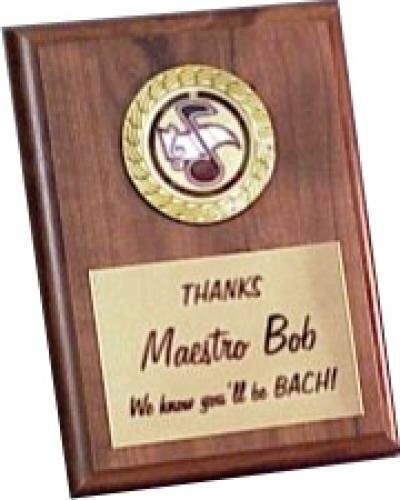 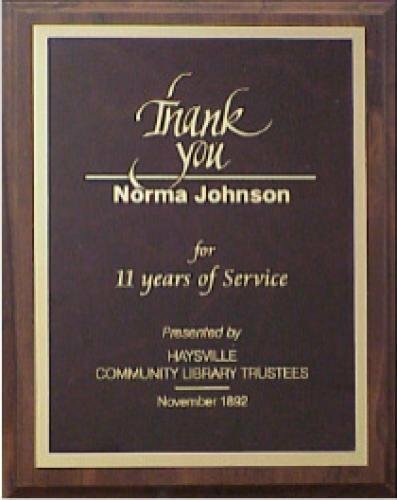 The twelve 1/2" x 2-1/2" small individual plates, and the one slightly larger plate at the bottom, are black metal with gold text and are attached to the plaque after they are engraved.